If you’re happy with your life, your space will reflect that. That got me thinking, “does my space reflect a person with a happy life?” As I was pondering the answer to my question, I glanced at a horrific site. There it was, my awful chipped monstrosity of a dresser with mis-matched and missing knobs. 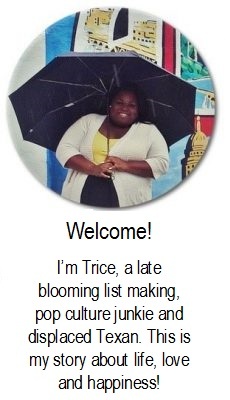 I had to turn away the site was disturbing my spirit. But things didnt get better, on the other side of my room were those God awful teal tween satin curtains that I’ve had since I used to be a Spice Girls superfan. Then just off to the right was the awful multi-toned borderline tacky nightstand I’ve had since birth. My lovely antique Jenny Lind bed was dressed with this blasé quilt and above the bed was my lame attempted at adding art to my rather bare walls. This room was not a reflection of someone with a happy life. It was a collection of a bunch mis-matched randomness with no clear objective. Hmmm sound familiar… Maybe my room was a reflection of my current situation but not anymore.You know how they say you should dress for the job you want to have, well I decided to decorate to the room I dream to live in. Being that I don’t have the money to create my dream bedroom, I set out on an incredible d.i.y journey to create a fabulous space that was shabby chic yet still contemporary. As we enter our twenties we are bombarded with tons of propaganda about how we are going to lose all of our high school friends. We are told that those relationships will fail because we will grow apart or something about us changes. While some of that can be true, the real reason those relationships don’t last is because we don’t put in the necessary effort. Every relationship takes work, friendships are no different. I can honestly say that I am guilty of not putting forth the necessary effort.Throughout my life the friends that I’ve had can be categorized by certain chapters. Rarely having any of those friends played a major role in a multiple chapters. My friends from elementary at this point are simply a faint memory, but most of my friends from high school merely exist on the yearbook pages of my mind. Its not because I think they are not important or that I don’t cherish those memories. We didn’t “grow apart”; despite whatever has changed in our life the core of who we are has remained the same. Its because after we went our separate ways no one ever made the effort to continue the friendship. As the years go by and more time passes it seems like the window of opportunity to reach out closes. Eventually those friendships become something of the past. Lately, as I have been aiming to get back to happy, I have spent some time reflecting on some of my most cherished moments. None of those times would have happened without the presence of friends. This got me thinking, I should really reach out to an old friend. So I did just that. It had been years since we had really spoken to each other. Sure, we are Facebook friends and occasionally we will like each other’s status, but it had been at least 7-8 years since we really talked. In that time a lot has changed. We have both matured and our personalities have evolved, but the core of who we are remains the same. Its fascinating how quickly we were able to fall back into the rhythm of genuine friendly conversation. It felt so good to around someone so familiar. 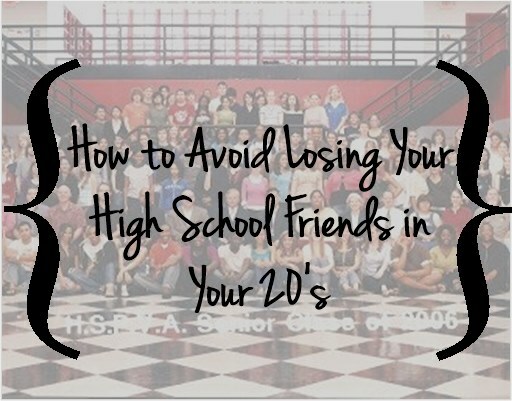 So you want to know how to avoid losing your friends from high school? The answer is simple, just make an effort to keep in contact with them. No matter where life will take you never allow the doors on your friendships to completely close. But if you are like me and you let 8 years has past, I encourage you to reach out. You will be surprised how rewarding it feels to reconnect with old friends. I have really enjoyed reading about what makes all of you happy on Facebook. Its so great to see the diversity of the answers. Some people are happy when they hear a certain song or when they are around friends and family. There are no two answers that are exactly the same. I find that what makes me happy, isn’t a certain object or person but a distinctive moment. Its that moment when you discover something new and immediately fall in love. Specifically, when I find a new artist or song that I love. I’ll never forget the moment I discovered the group Sam and Ruby my freshman year in college. I had signed up to work the Tin Pan Alley Music Festival specifically at The Basement, a small venue in Nashville. A week before the show I decided to Google some of the artist that would be performing. First on the list was Sam and Ruby. I found there Myspace page (myspace was still popular back then) and heard the song The Here and the Now for the first time. I was instantly obsessed. I just remember feeling so much joy and eager to hear more of their music. That same day I bought their EP and played it non-stop. Seriously y’all, I was totally geeking out over them. I’m sure my roommate Jillian was sick of hearing me play and talk about Sam and Ruby. The joy I feel when I discover new music is a feeling I never want to lose. Witnessing the talent and creativity that artist put into their work truly inspires me. Who are some of the new artist that you are currently listening to? Comment below! P.S. Don’t forget the Getting Back to Happy giveaway!! You have until May 6th at 6pm to enter.